When people hear ”Sderot”, the first picture that comes to mind is war and poverty – and that is the good case (when they’ve heard of that little town in the south, right next to Gaza). That’s what I imagined- and then I moved there. I was surprised to find that the city is lovely, welcoming, and is located close to one of the most marvelous views in Israel. 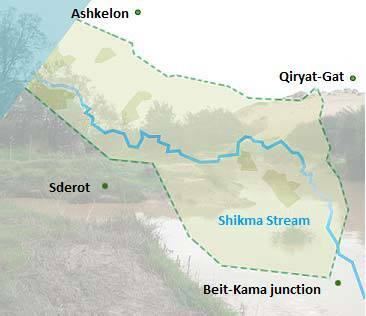 Merhav Shikma is the largest ecological corridor in the center of Israel. It goes from Zikim’s shore in the west, to Lachish in the north east and to Beit Kamma Junction in the south east. The “big” (but mostly dry) ”Shikma Stream” is the source of that corridors name. What is an ecological corridor you ask? It is an open field that no one is allowed to touch. The purpose is to keep the animals in the area safe, and not ruin the ecosystem. There are roads and settlements in the corridor’s land, but they are far away from each other. That is so the animals will not be disturbed by us, humans. 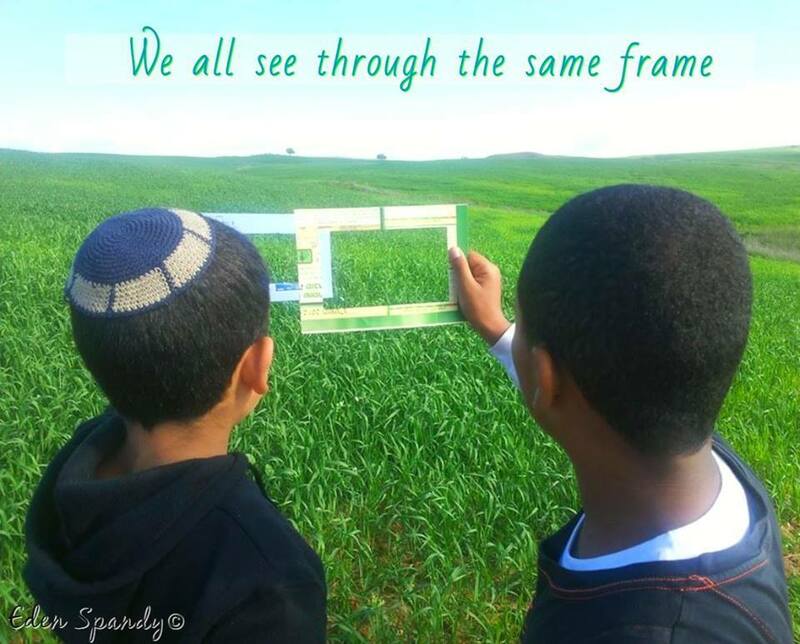 In Sderot, there are several projects who try to educate kids to love nature and protect it. One of those projects (the one I am a member of) is called ”The Guardians Of The Stream”.In today’s world, there are so many technological temptations that keeps us indoors and hold us from seeing the beauty of nature, that is right outside our door. And the children that grow up in a world like that will not always bother to look. Therefore, every year we take the inner-city kids to three hikes. The last time we took them to Sad Stream Canyon, one of the Israel National Trail’s sections. It was the first time the kids were there – and for some of them it was the first hike they have ever been to. While hiking the kids started to run, jump and play. For the first time they felt free, outdoors. They were so happy to run – so we just let them. Kids – go figure.In the end of the hike, we gave every kid an empty frame. We told them to close their eyes and turn around while holding the frame. When we said ”Now open your eyes… ” they all said one word – ”WOW”. In the end of the day, we can argue about every stupid little thing in the world, but when it comes to nature there is no contradictory – it’s beautiful. Period.